Mollie is Dr. Reed’s wife of 21 years. She loves spending time at the office, helping patients with insurance and financial needs, and keeping their wonderful staff happy. Mollie grew up in Indianola, MS. She graduated from Delta State with a degree in accounting. Mollie enjoys shopping, cooking, the outdoors, and spending time with family and friends. Mollie and Dr. Reed have two boys, Noel and Ike, and a dog, Max. 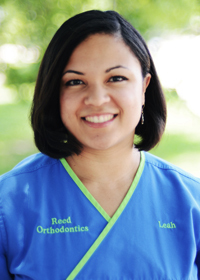 Leah is one of the first faces you will see when you come into our office. She always has a smiling face ready to greet each of our patients. Leah graduated from Belhaven University with a Bachelor of Science in business administration. She manages the patients’ accounts and takes care of scheduling. Leah enjoys going to the movies, taking Zumba classes, and spending quality time with her family and friends. She and her husband AJ have two beautiful girls. Victoria is one of our front office assistants. She understands that your time is valuable and will always work with you to find the best day and time for your appointment. 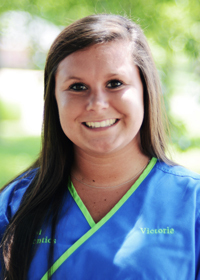 Victoria enjoys kayaking and spending time with her family and friends. 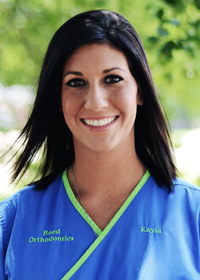 Kayla has been working for Dr. Reed since 2009 after relocating from Starkville, MS. She knows the difference that orthodontics makes in a person’s life, and she loves being part of that life-changing process. Kayla enjoys spending time with her husband, playing with their dogs, watching her niece and nephew perform various activities, interior design, and traveling to New Orleans. Go Saints! 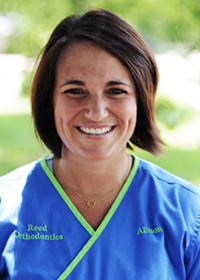 Allison joined Dr. Reed’s team in 2013. 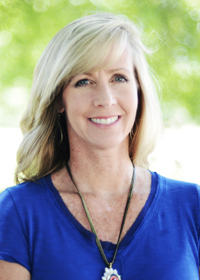 She has been working in the dental field for more than 18 years. She enjoys meeting new patients and their families. She loves learning about a patient’s hobbies and interests, and how their day has been. She asks about their classes and sports activities. Allison lives in Flora with her husband and their three sons. She enjoys watching her boys play football and baseball, going to the beach, and baking. 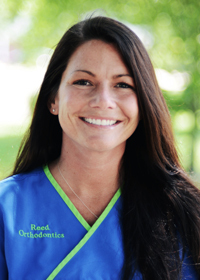 Nikki has been working in the dental field for ten years and has been with Dr. Reed’s team since 2010. She works in our back clinic area, assisting Dr. Reed with procedures, providing friendly support, and encouraging our patients. Nikki and her loving husband live in Rankin County with their two sons. Nikki enjoys watching her boys play all types of sports and reading a good book to relax.